Amazon Best Kindle Books of 2014 – How Many of These Have You Read? 2014 is almost behind us. It’s been a fantastic year for new books, with some of our favorite authors releasing new reads and some up-and-coming writers appearing on the scene. When CNN published this article, we knew we needed to check it out, and we have to say…we’re pleasantly surprised. A new offering from Stephen King, Liane Moriarty’s latest novel, and much, much more. We are not going to review all top 100 books on the list, but we felt like the Top 10 deserved our attention. And yours. Head over to Top 100 Kindle Books in 2014 to check out all 100 for yourself. And please tell us what you think in the comments below. Here, for your reading enjoyment, are the Top 10 Amazon Best Books of 2014. You’re welcome. Coming in at number 10 on our short list, this Amazon Best Book of the Month from September opens with a Russian airliner landing in middle America…and unleashing hell on earth. The passengers are carrying a virus whose explosion into the population of the planet wipes out the world as we know it. Pockets of survivors roam the wasteland that is left or cluster in little pockets…some are welcoming, some are not. 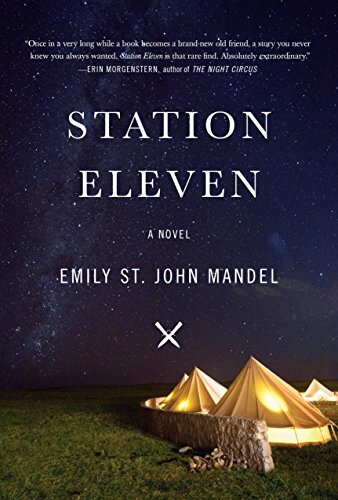 The novel takes a turn from the typical apocalyptic offering with it’s ode to what has survived…music, and a traveling Shakespeare troup, whose members form an unlikely family. Tragically beautiful and heartrending, this is a must read for avid readers of all genres. Our number 9 offering comes to us from Liane Moriarty, a well known author and frequent flier on our “Best Authors” list. Voted Top Seller in July, Moriarty offers up another irresistible read about All. The. Things. 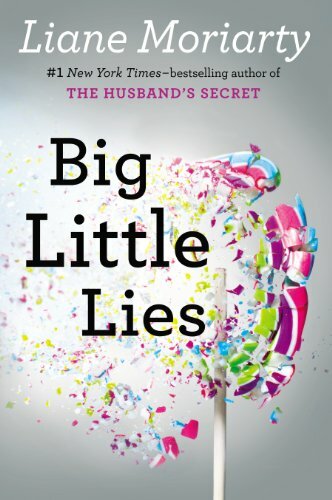 Marriage, motherhood, children…Big Little Lies is set in suburban Australia, and centers around three mothers who all have children at the same preschool. The beauty married to the fabulously rich guy, the “can-do” who can’t, and the single mom who just doesn’t seem to fit, no matter where she is. Before the first chapter is over, someone will end up dead. Narrated by a “Greek chorus”, Moriarty keeps the suspense high and the reader guessing to the very end, making sure that you fall in love with each character in turn before you figure out who did it. If you are a Liane Moriarty fan, you’ve probably already read this. And if you don’t know who she is, this is a fabulous place to start. Number 8 was the Best Book of the Month in June. Nine families have immigrated to the United States and ended up in Delaware, living in the same apartment building. They all have one goal–a better life for their children. Alternating chapters allow each to tell their story of how their new country has impacted them–the good and the bad. Two families form a special bond, and as their children grow together, they find themselves letting go of the secrets that hold their past and moving forward into a new, brighter future. This inspiring novel will stay with you long after you’ve finished the last chapter. Savage Harvest is number 7 on our list. This is the true story of Michael Rockefeller, who disappeared in the jungles of New Guinea in 1961, and was never heard from again. 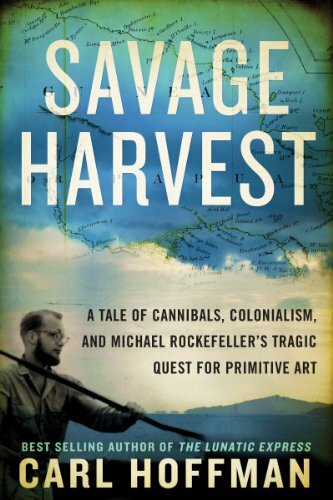 Long rumored to have been eaten by the Asmat, a fierce warrior tribe whose culture was driven by violence, revenge and cannibalism, Rockefeller’s fate has been debated for more than 50 years. Here, for the first time, is the true story of what really happened that day. Journalist Carl Hoffman has journeyed deep into the Asmat society, learning their language and culture, and building relationships with the tribe members who hold the key to the mystery. The result is a captivating look not only at the mystery of Micheal Rockefeller, but also a never before seen look into the Asmat society in the 21st century. Even if you don’t know anything about the Rockefeller mystery, this well crafted read will keep you enthralled until the very end. 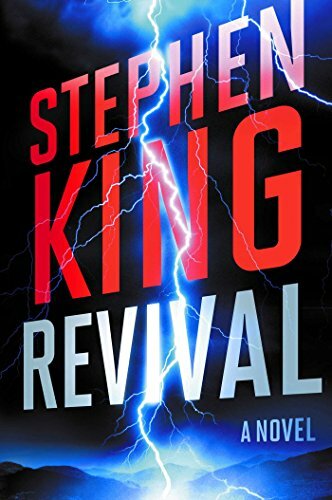 Stephen King has done it again with Revival, number 6 on our list. November’s Best Book of the Month, his latest novel spans five decades in the lives of Charles Jacobs, a charismatic pastor and Jamie Morton, a nomadic rock-n-roller who is running from his demons…and can’t run fast enough. When the two men are reunited, their new-found bond holds profound consequences for both, and leads to the most terrifying conclusion that King has ever produced. Stephen King proves once again that he is a master storyteller…and that he still has the power to scare the bejabbers out of us with his words. 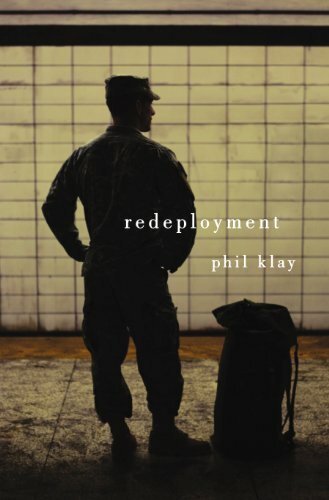 Redeployment marks the halfway point on our Top 10 list. The Best Book of the Month from March, these are the stories from the front lines in Afghanistan and Iraq. Told from the viewpoint of the men who are there, these stories help us to understand where they have been, and what they face when they come home. A complicated portrait of war, both over there and on the homefront, that is a must-read for anyone who loves a soldier. Number 4 on our Top 10 was an September Best Seller. 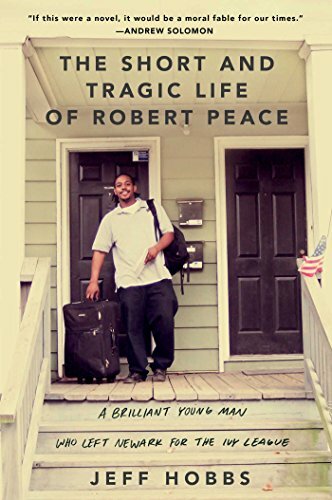 The true story of Robert Peace, a black student from the wrong side of the tracks who fights his way to the top and ends up at Yale, where he studied molecular biochemistry and physics. He finds it increasingly difficult to live his double life–brilliant student at Yale, and the son of a murderer whose legacy dogs Peace all of his days, and leads to the end of his tragically beautiful life. Written by Jeff Hobbs, who roomed with Peace for four years at Yale, this intimate portrait of a young man who fought his way out only to be dragged back down will stay with you long after you’ve finished reading it. Number 3 was the most popular book in August and tells the story of James Gordon Bennett, the wealthy owner of the New York Herald. Bennett funds a naval expedition to the North Pole to capture the world’s attention. When the ship is encased in ice and eventually sinks, 1000 miles north of Siberia, the surviving crew set out on their quest to reach home–across the coldest, most desolate place on earth. Their story is a true testimony to the indomitable human spirit, and the lengths that we will go to survive. Award-winning author Anthony Doerr brings us our number 2 book for 2014. The best seller from May, Doerr brings us a masterpiece set during WWII. When a blind French girl and a German boy cross paths, their lives become hopelessly entwined, and as they fight for survival during one of the darkest periods in human history, they find that they are far less different than they’ve been told. 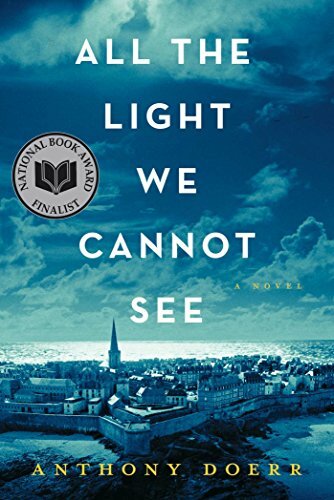 A masterful piece of work by a master of the craft–All the Light We Cannot See is a must-read. 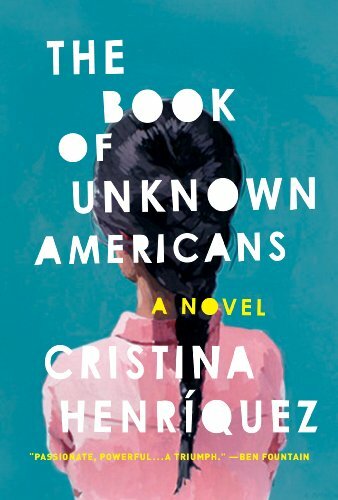 Our number 1 book of 2014 comes to us from an emerging new author. 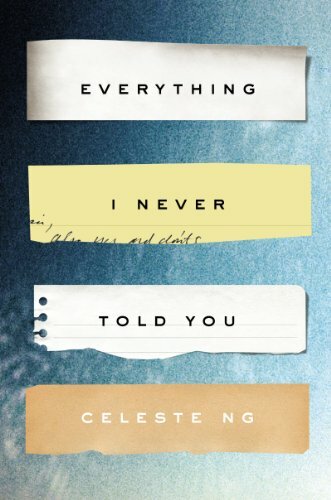 Everything I Never Told You is the story of a Chinese-American family living the perfect life in small-town Ohio in the 1970’s. When their daughter Lydia is found in the local lake, their perfect lives begin to unravel as each member of the family tries to deal with her death in their own way. They are forced to confront long held secrets that will threaten the very fabric of their home. A deeply complex novel that explores the threads that make up all of our lives, and how far they stretch when pulled to their limits. We’ve explored the Top 10 Best Kindle Books of 2014 for you here, but there are 90 more on this list that deserve your attention. Take some time to peruse them, taking note of what Amazon considers to be worthy of the honor. You can be sure that if they have taken the time to read them, these authors are deserving of their spot on the Top 100, and deserving of your time as well. Let us know in the comments below what you found to be noteworthy!